Green&Blue wanted a campaign to raise awareness of the importance of solitary bees, whilst promoting their award-winning Bee Brick™ and other wildlife products. Working alongside The University of Exeter’s Environment and Sustainability Institute (ESI), our aim was to educate people about the vital role solitary bees play in pollinating our crops, flowers and trees - as well as encouraging people to get involved in the cause and protect these incredible pollinators. 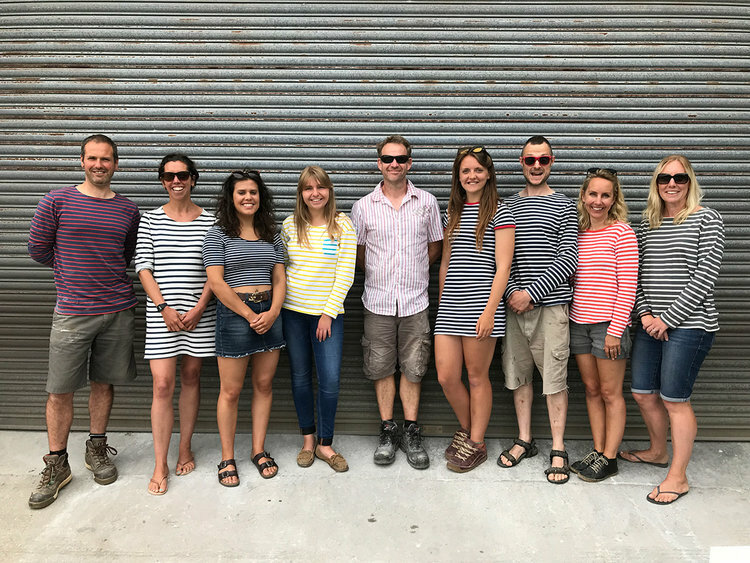 Along with a team of designers from Falmouth University, we launched the first ever Solitary Bee Week from 2nd to 8th July 2018. Our ‘Earn Your Stripes’ initiative suggested fun and accessible ways for people to pledge to help the solitary bees, such as allowing a patch of your garden to grow wild or spreading the word by wearing stripes to work for the day. Hosting several assemblies across Cornwall, we created education packs for schools and community groups along with solitary bee activities and fact files. We delivered a social media campaign across Facebook, Twitter and Instagram, involving a #solitarybeehour (asking people to share photos and create a buzz online) and a live Q&A on Twitter with solitary bee experts from the University of Exeter. The week gained tremendous support on social media, with companies such a Seasalt Clothing and Cornwall Council jumping on board with the Wear Stripes to Work Day and BBC Wildlife Magazine and BBC Gardeners’ World sharing solitary bee facts throughout the week.